The recent “WannaCry” Ransomware attack that hit the NHS (and more than 200,000 other victims across 150 countries) has focused attention on the CryptoCurrency called Bitcoin. There have been numerous calls to outlaw Bitcoin and other CryptoCurrencies but there’s a lot of mis-understanding and a belief that they are only used to fund criminal activities. In fact, over the last couple of years there have been numerous articles in the mainstream media about Bitcoin. Most have focused on their use by the criminal fraternity, whether for the payment of Ransomware ransoms to decrypt company data through to the purchasing of illegal weapons and drugs on the Dark Web, including The Silk Road, a dark web site where drugs, weapons and illegal services were traded online – before the site was taken down by the FBI in 2014. However, Bitcoin, and other digital currencies, are now experiencing a significant uplift in their use for legitimate purposes and we thought that this is an ideal time to send out an explanatory email so that you can be better informed. What is a digital/virtual currency? What is a Bitcoin?What is Distributed Ledger Technology / Blockchain? How do I get digital money? How can I spend digital money? How safe/secure is my digital money bank? A virtual currency is simply a digital form of money for online transactions. Virtual currencies only exist electronically, there’s no bank notes or coins and no bank deposits, hence their description as a Virtual Currency. Virtual Currencies bring innovation and benefits to more traditional forms of banking and financial systems. Transactions are much cheaper and faster with international payments being much simplified due to freedom from exchange rate worries and bank transfer fees. This means there are no currency exchange barriers, digital currencies are genuinely international, unaffected by national boundaries and traditional currency issues and associated exchange rate issues – until you want to exchange them for traditional cash. The most well known Virtual Currency is Bitcoin although other examples include Dogecoin, Ether, Dash, Litecoin and Stellar. 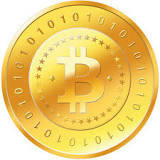 Bitcoins were one of the earliest forms of virtual currency, first introduced in 2008. In 2013 Bloomberg effectively endorsed the legitimacy of Bitcoin by testing Bitcoin on its trading terminals and later that year the US Federal Reserve gave their apparent blessing, stating that Bitcoin “may hold long-term promise, particularly if the innovations promote a faster, more secure and more efficient payment system” and is the most well known form of Digital Currency. In 2014 our own HMRC classifies Bitcoin as assets or private money which means that no VAT will be charged on the mining of, or exchange of Bitcoin. Later that year, Microsoft started accepting payment made by Bitcoin and a 2015 HMRC report on digital currencies further marked the acceptance of Virtual Currencies by mainstream financial services. The Blockchain is a database that records all Bitcoin transactions. It’s basically a distributed database, is totally separate from the banking industry and free from central interference. 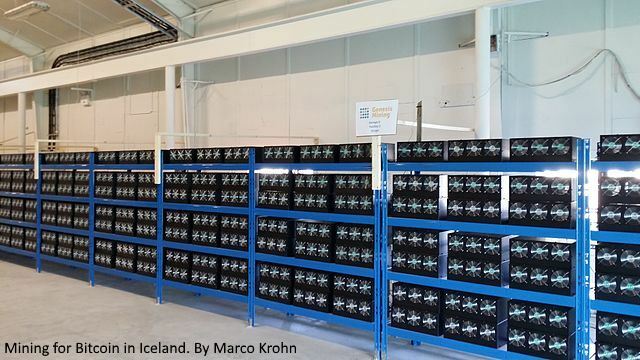 Believe it or not, it’s possible to make your own, legitimate, Bitcoin through a technique called “mining” which uses high performance computers to carry out sophisticated cryptological processing to effectively make new currency that’s then added to the Blockchain. You can use Bitcoins to purchase traditional currencies, products and services and you can acquire Bitcoins in a similar manner. As noted earlier, transactions follow payer x sends y bitcoins to payee z format. Although transactions on the Blockchain are open to inspection, the reason why Bitcoin is so attractive to criminals is that transactions are pseudonymous. This means that “payer x” is only identified by his or her Bitcoin address. In 2014, Bitcoin Payment Service Provider (A PayPal for Bitcoin) started accepting Bitcoin payments for tickets and concession sales at the St. Petersburg Bowl in the USA and in 2015 Barclays started to accept Bitcoin, the first UK high street bank to do so. Over 100,000 establishments were accepting payment by Bitcoin by the end of 2015. You can buy technology from Aria and Dell, pre-owned technology, media and games from CeX around the UK, you can sign up for language courses, buy a beer and a meal in a pub, book theatre tickets, accommodation, home and garden furniture, new windows and much more – full list of UK companies accepting Bitcoin here. In 2013 a Bitcoin was worth $13 and at the time of writing a Bitcoin would cost $1,033.43 ( £830.81) having peaked in 2017 at $1216.73. The downside is the lack of protection because virtual currencies lien outside of the established banking regulations, Bitcoin users are not protected by refund rights or chargebacks and transactions are non-reversible. Your Digital Wallet stores all the information required to transact bitcoins. Although they’re frequently described as a place to hold, or store your Bitcoins, the reality is that Bitcoins ONLY exist in the Blockchain and your Digital Wallet simply stores your credentials to access your Bitcoin holdings. It’s similar to the way your debit card doesn’t store your money but allows you to access your account and arrange for the transfer for funds from your account to that of the seller. Because your Virtual Currency is held centrally, there’s actually nothing to steal, in the conventional sense. So, is traditional money dead? Far from it, and it’s probably a long way from dying simply because each country likes to have it’s own currency regulations in place and the fear associated with the disruption that Virtual Currencies will cause. As a result, banks are making it easier for customers to spend their traditional money. We say the introduction of cheques – now on the decline. Credit and payment cards that facilitate the easy transfer of money. Internet banking, making it easier to manage our own funds. Contactless payments speeding up transactions, Apple and Android Pay., facilitating payment by simply tapping your phone on a payment terminal and the migration of these services to Smart Watches. Soon, you’ll have contactless payment capability added to pieces of jewellery (A payment wedding ring anyone?) followed by the embedding of a suitable chip under the skin of a fingertip. However, as world governments become more centralised, the benefits of Virtual Currencies may begin to outweigh the pressures (and costs involved) to maintain more traditional Fiat based monetary systems and all we can suggest is that you watch this space.